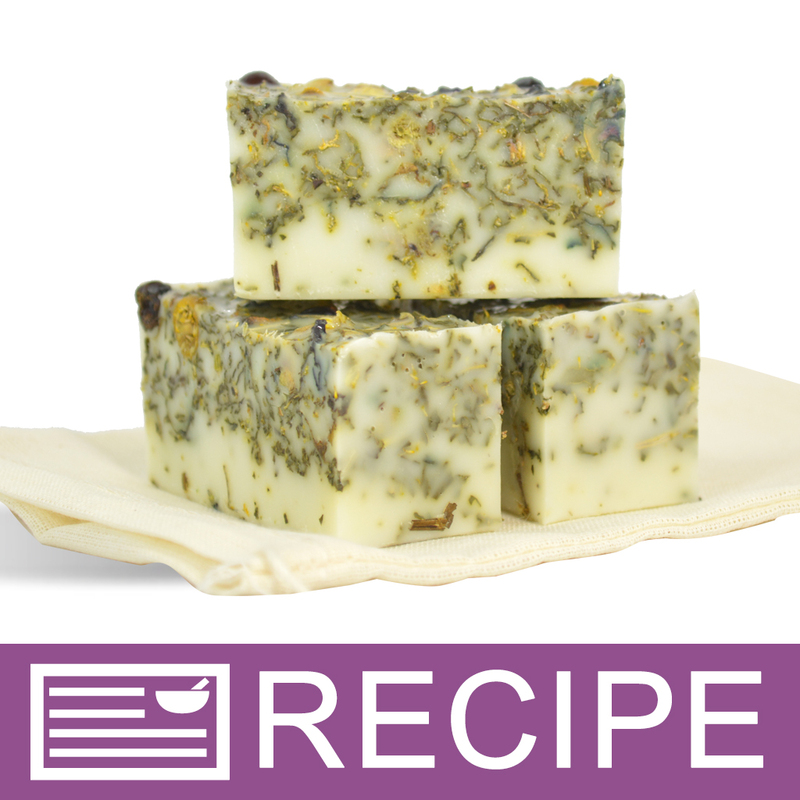 The fragrance of the bath tea gives this soap a gentle and soothing aroma. The benefits of the bath tea ingredients will come through the muslin bags along with the creamy soap bubbles, but won't make a mess in the sink. With only a couple ingredients this recipe is extremely easy, and the end result is a sophisticated product. Friends and family will ooh and aah when they receive this as a gift. Don’t worry, we won’t spoil your secret on how easy these were to make! You Save $19.40 by purchasing this kit rather than buying the items separately. COMMENTS: This was my first M&P Soap kit. very easy to follow instructions. Loved the look of soap. COMMENTS: I sold these products at a recent show and boy were they a hit! nice size for a guest, they are small but don't be discouraged! Perfect for camping too when you don't want to bring entire bars of soap. The muslin bags are essential as using them just alone may scratch the skin. However I did wish that the soap had better luxurious lather as my customers like a little more premium goods for their money. COMMENTS: I added my own scent and it turned out great! COMMENTS: I thought this kit was easy and straight forward to make. I had another guest sized mold and Moshe another batch using a different fragrance oil and the combination just popped!! The only down side is how the soap looks in the muslin bag while using them. "Not what I expected but nice!" COMMENTS: This is a beautiful product with wonderful scent. Easy to make and very little room for mistake. Great little loaf mold comes with it and it's very pretty. I wasn't aware you use this "tea bag style." I didn't mind at all, and I'm very open to this style, but I just didn't read the description carefully. Soap goes into little muslin bags and you use it through the bag. I may try to redry the bag and "tea" and use it for a sachet. COMMENTS: I loved the fragrance and lathering of this soap, my granddaughter loves it too. The fragrance was a little strong, but as it ages, it mellows out. Definitely recommend this kit!!! COMMENTS: I tried this product to give crafter's choice a whirl and my customers are demanding more! "LUV LUV this Kit!!!! 5 STARS!!!" COMMENTS: This soap kit was GREAT!! my 1st MP I ever did!! What a nice why to start out with MP. And the scent it gives off is wonderful!! And to have the bags for them to go in to is so nice and you keep the soap inside the bag when you use it so it does not go down drain!!! COMMENTS: I loved this kit. The smell made me go make a cup of tea. It was fun and easy to work with. I say try this if you are looking for something that is a little different then the usual soap. I also love that it is used in the bag. COMMENTS: i loved this kit! it was easy to make. and my customers loved it too! They loved the fact that there wasnt anything " extra" in it just the natural flowers and the soap. "Since this is a MP soap should it be shrink wrapped Until used?" Staff Answer Yes, we would recommend wrapping these soaps. "Can I replace the base with goats milk soap base without modifying the recipe at all? " Staff Answer The soap should come out the same with using goat milk soap. You will need to update the ingredient list for the label. "As soon as I mixed the tea into the melted soap, bubbles formed. I gently folded the tea in and poured into mold thinking they'd eventually go away but it dried with the bubbles - none popped. Why did that happen and what can be done to prevent it from reoccurring? Thanks!" Staff Answer Hi Chrissy, When you pour the soap into the mold try tapping it on the counter and then I would suggest spraying the soap lightly with alcohol. This should help with the bubbles. "Is there a stand alone recipe available for this product? Thank you! Sam"
"I think this looks like a really cute project but am a little confused about your recommended retail price of $2.95 per bar. If this kit yields the 8: 1 inch bars that would mean I only get a return of $23.60!! I might add that the cost of this kit is $49.95!! I don't know anyone who could stay afloat while maintaining that kind of business practice. I realize you get the soap mold and a few muslin bags - but still. Is that recommended price a typo? If not, what is the justification?" Staff Answer The retail price per bar of $2.95 is a suggestion. The guest size soap is a small loaf mold which produces 8 pieces, each weighing only 1.35 oz. On average most soapers price their soaps at $1.00 per ounce. We felt that $2.95 was a fair price. You may price your soap as you believe them to be worth. "Could I add a scent to this or does a scent come in the package? if so, which scent?" Staff Answer This soap recipe does not include a fragrance. The natural scent of the bath teas was used to fragrance this soap. You can add a fragrance if you choose.